26th June is the International Day against Drug Abuse and Illicit Trafficking and the theme of this year is “Listen First”. “Listen First” is an initiative to increase support for prevention of drug use that is based on science and is thus an effective investment in the well-being of children and youth, their families and their communities. Listening to children and youth is the first step to help them grow up healthy and safe. 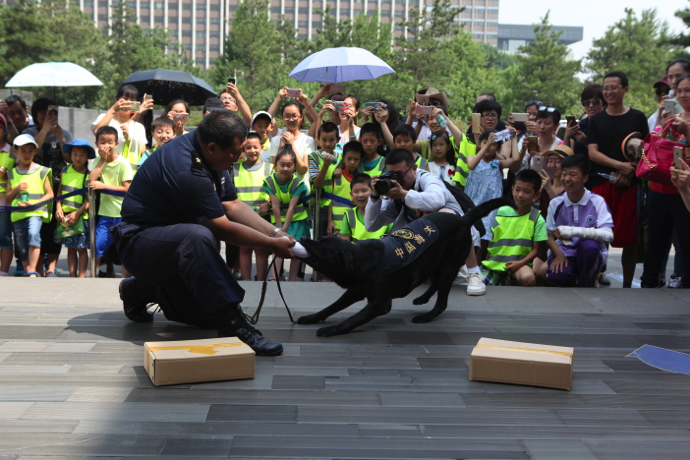 On the morning of 26th June, 2016, China Customs Museum held a special event for the youth and their families, which is a lively performance of Drug Dogs. 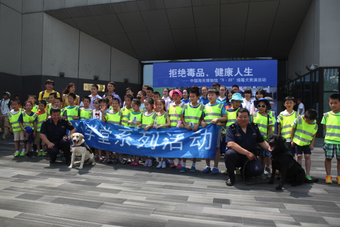 More than 150 students and their parents attended the event. 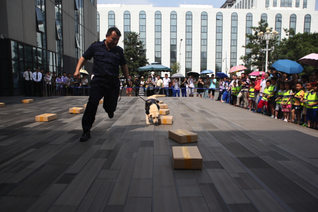 Drug dogs are the heroes of anti drug smuggling. 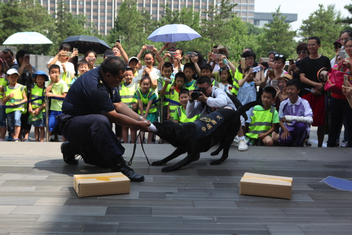 They have been helping people to detect the drugs, fight with the smugglers and even save the people’s life. It is great for students to watch dogs demonstrate their detective skills. 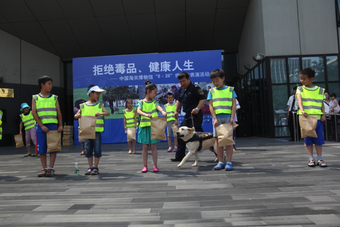 The weather was hot on that day but the kids were very happy. 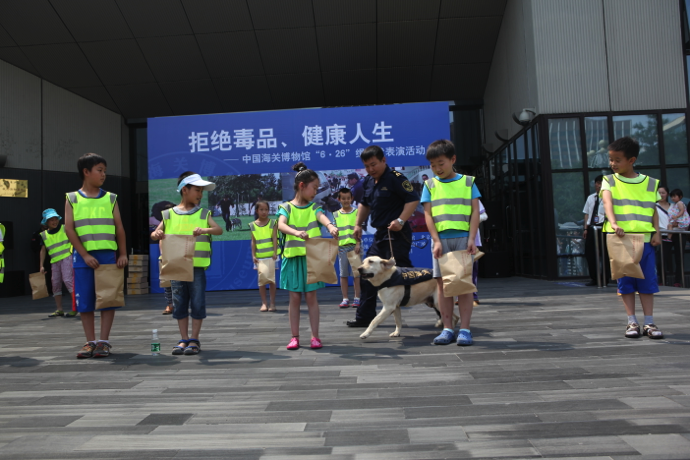 They learnt a lot about the drug dogs. 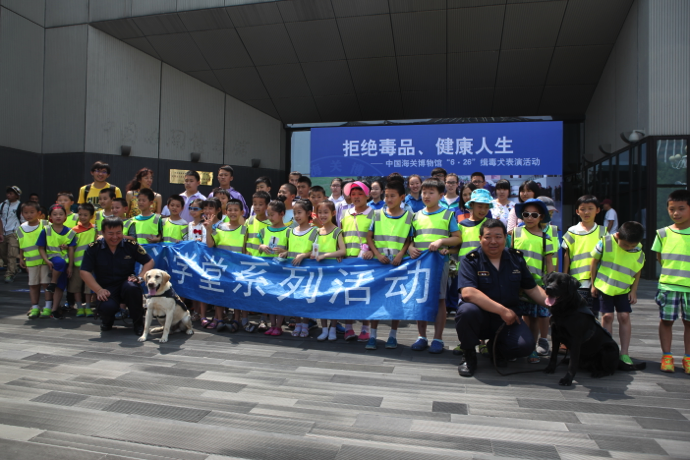 We hope the students all know that protecting us from drug is everyone’s duty. We hope our children grow up healthy and safe.